In a pivotal move to enhance accessibility, the Royal Mile attraction has invested over £50,000 into multi-functional audio guides which feature interpreters conducting tours in both BSL and ASL. 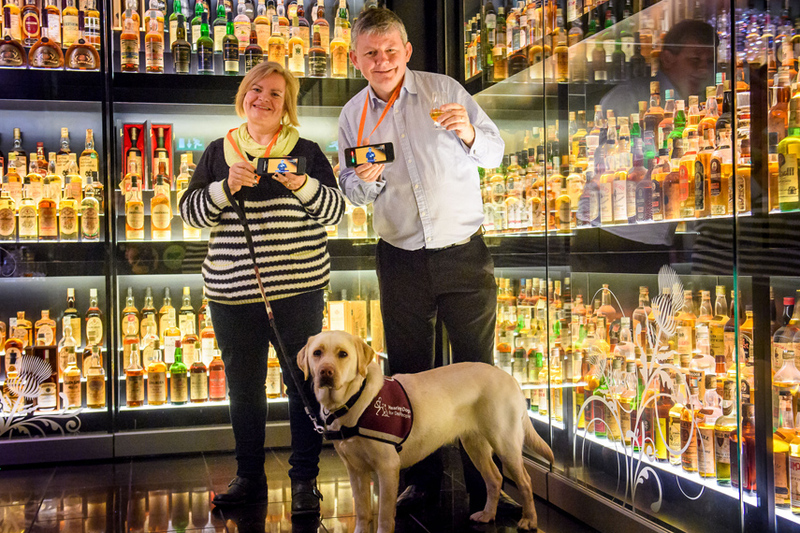 As 80% of visitors to The Scotch Whisky Experience come from overseas, subtitled tours in German, Spanish, French, Italian, Dutch and Swedish will also be launching, allowing deaf visitors from these countries to enjoy the tour in their own language. The addition of the new BSL and ASL devices means the attraction now offers whisky tours in a total of 20 languages. Lenka Whyles, Head of Operations at The Scotch Whisky Experience, said: “Investing in American and British Sign Language to enhance our suite of languages shows both our commitment to accessibility and our wish for all our visitors to enjoy a 5-star experience in their own language. “Careful consideration has been given to the background colour of the screen on the new devices, as well as the clothes of the interpreters to make them as user-friendly as possible and we also flew one of the American signers over from the USA. The BSL and ASL tours at the Scotch Whisky Experience is officially launching from Tuesday 23rd January. In 2017, the visitor attraction continued its commitment to accessibility and made upgrades to allow increased flexibility for wheelchair users, enabling them to experience the new audio-visual tour elements in full. A wheelchair was also purchased for visitors to use on a free of charge basis.